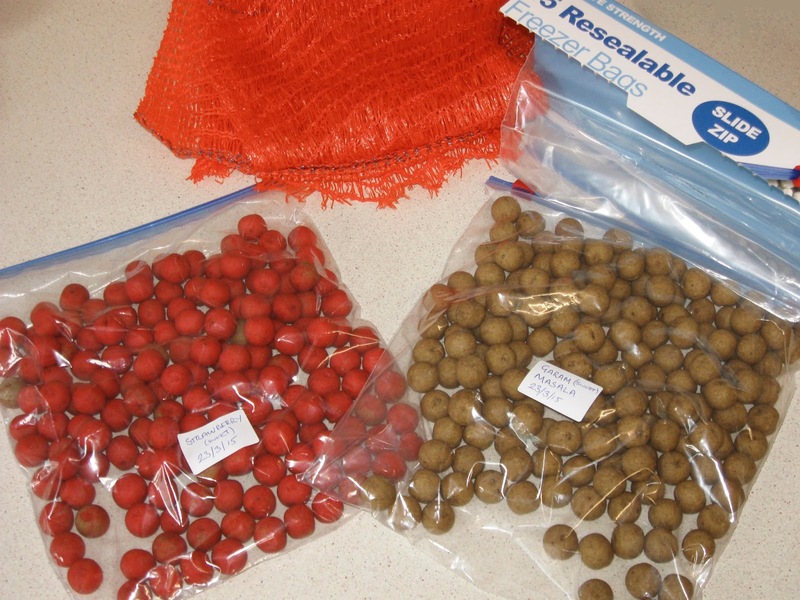 I dried the boilies out for 24 hours by hanging them in their drying bags. Today I have decanted them into zip-freezer bags, labelled and dated them. There are a few mixed flavour boilies in the strawberry bag as I left the last of the spicy paste in the gun - makes it all a bit more interesting. I ended up with well over a kilo of boilies (1074g in total). It would not have taken much longer to make several kilos ounce I got going. This will do for now, I will see if the fish like this lot first, I need to make some room in the freezer! I mentioned yesterday that I had ordered Ant Wood's book. It arrived today so I have a some studying to do before I make the next batch! at first glance there appears to be dozens of recipes to chose from and a lot of background information - looks like a good read... I will let you know! 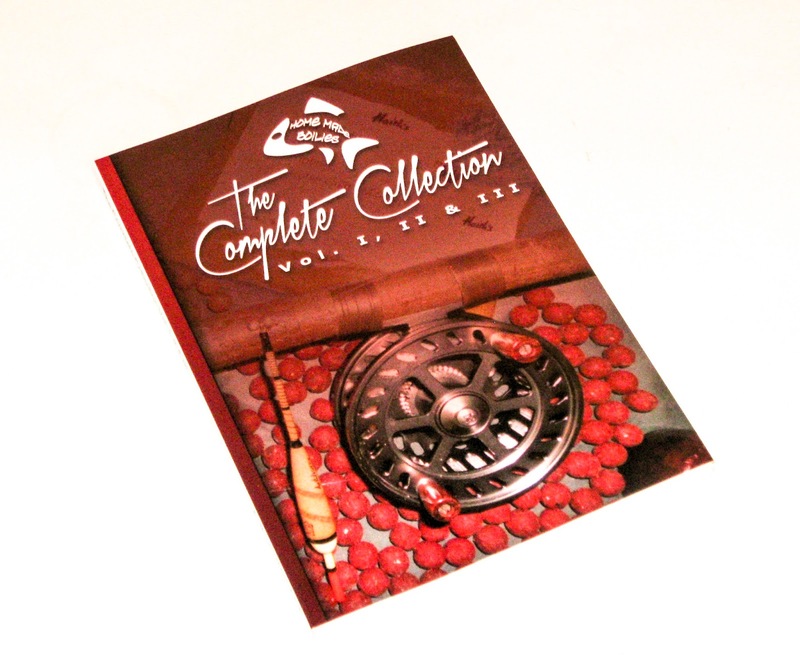 Ant's book - The boilie bible? Goodbye London and fishing on Thursday - Maybe. This blog updates to the top of the page. This means the latest post is always at the top. As this is a chronological story you will need to scroll down the page to find the earlier posts. If you want to start from the very beginning, click HERE. You can contact me by e-mail by clicking HERE. Get HTDM on your smartphone! Make sure you don't miss a post - Sign up to follow our blog and get new posts by e-mail! Boilies! ... and the same to you! Looks like we are going fishing! Two fishing trips in three days! …but it nearly didn’t happen! © 2018 Ralph Laughton. Awesome Inc. theme. Powered by Blogger.